After you have clicked the Buy Now or Pay Now button you will be taken through to the PayPal secure payments page. 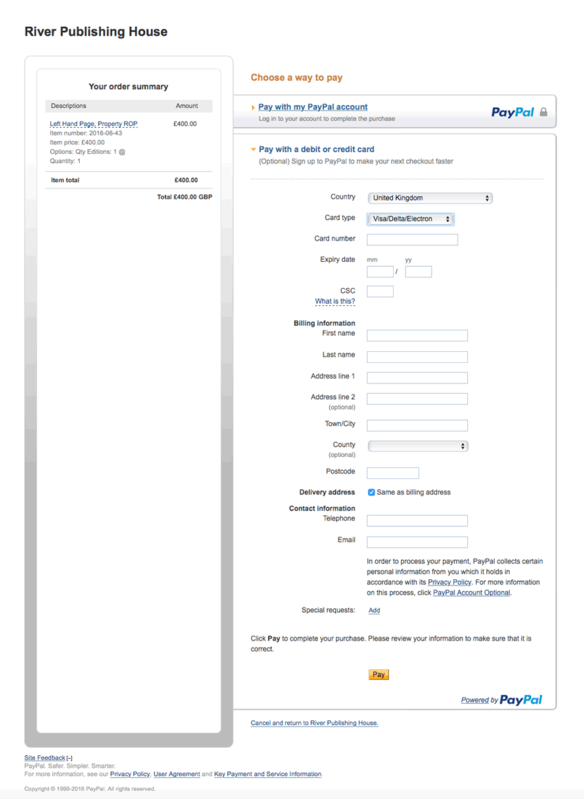 Select ‘Pay with my PayPal account‘ to pay using an existing PayPal account in the normal way. To pay with Visa/Debit cards click the ‘Pay with debit or credit card‘ option and complete the secure form with card details and billing address etc, (sample shown below). You do not need to create a PayPal account. Any questions, just call 020 7193 7833.